Enjoy the best inspirational, motivational, positive, funny and famous quotes by Adolfo Lopez Mateos. Use words and picture quotations to push forward and inspire you keep going in life! 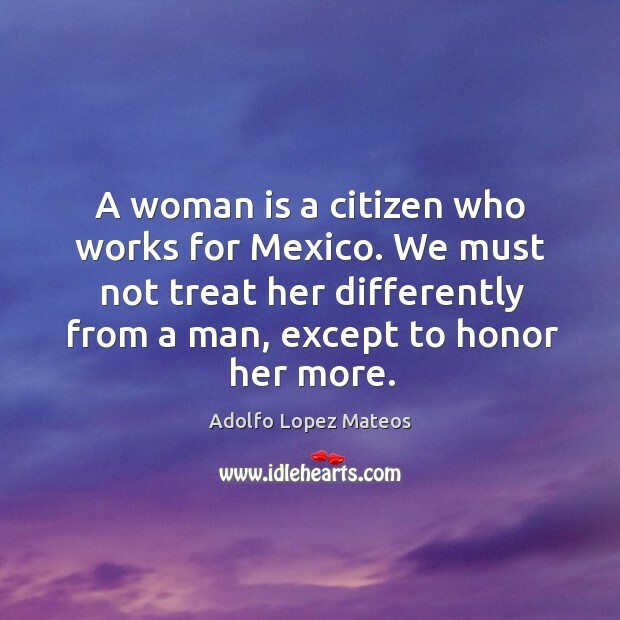 A woman is a citizen who works for Mexico. We must not treat her differently from a man, except to honor her more.